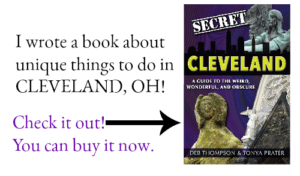 If you’re looking for unique places to eat in Butler County, Ohio, here are our suggestions. It doesn’t get any better than a donut trail! The Bagel & Deli Shop in downtown Oxford is clearly a local favorite. The shop involves the community- namely the students at nearby Miami University. 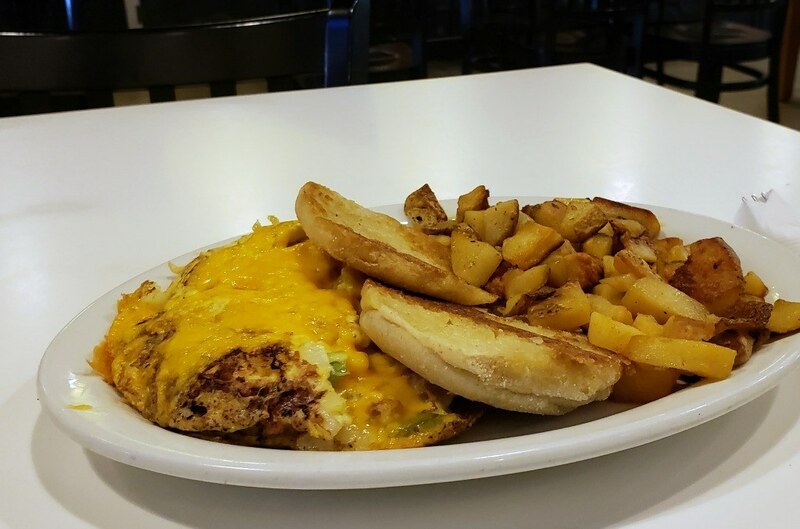 While they have a dedicated menu with a variety of unique combinations of meats, cheeses and veggies served hot on a steamed bagel or sub, customers are encouraged to create a sandwich combination of their own. They name it, draw it, list the ingredients and laminate it where it goes on display in the shop for customers to order. Those that sell well have a chance of becoming part of the permanent menu. This is definitely an establishment you’d find in a college town as is evident by the décor and names of some of the subs. During my visit, I tried the Philly Bagel and I was not disappointed. 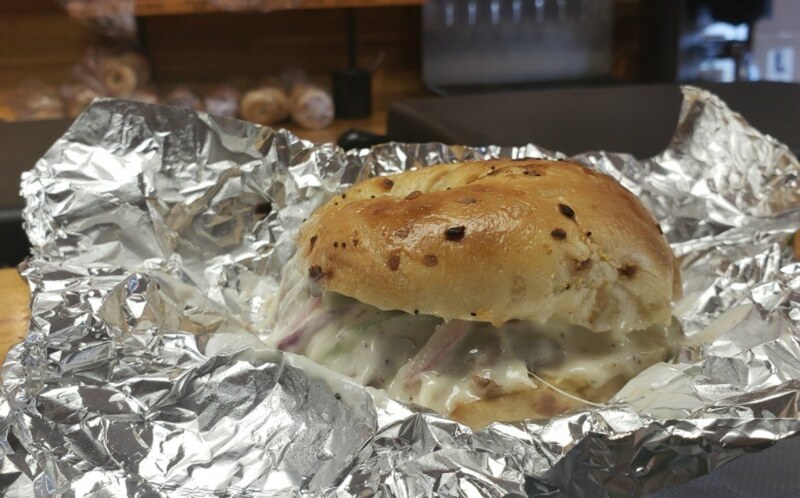 This tasty bagel sandwich combined roast beef, pepper jack cheese, green peppers, onions and parmesan peppercorn dressing on an onion bagel that was to die for. This was seriously a delicious sandwich and one I would certainly visit the area for again. This fun Asian Fusion restaurant is housed in one of the historic buildings across the river from downtown Hamilton. 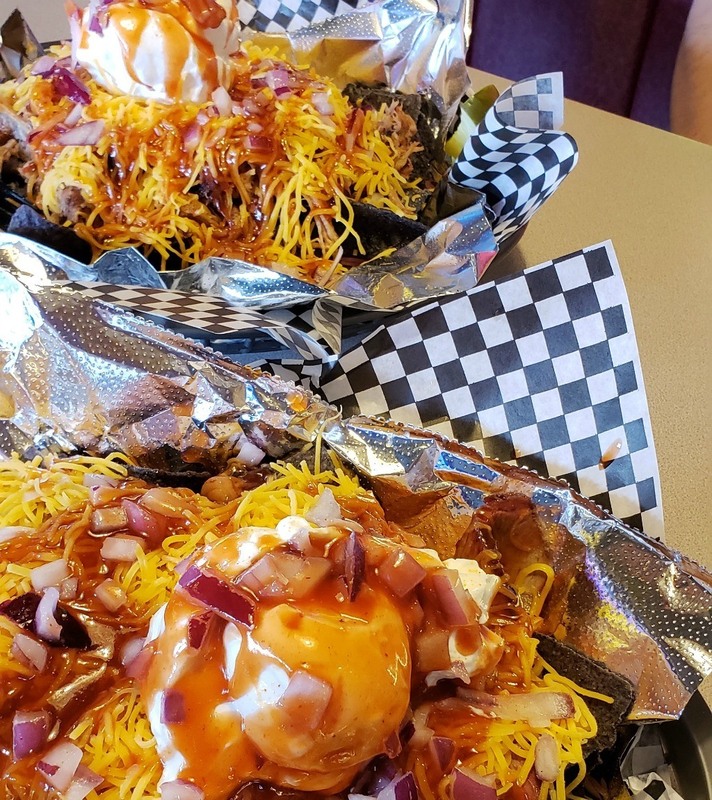 Operating in a similar fashion as Chipotle, options start with a burrito, bowl or salad and you add items as you go down the line as your food is prepared. Interestingly, a burrito at Roll On In is a large sushi-style rice wrap, since sushi is their specialty. During my visit, I opted for a bowl and found it incredibly delicious. The burritos are like a huge sushi roll. 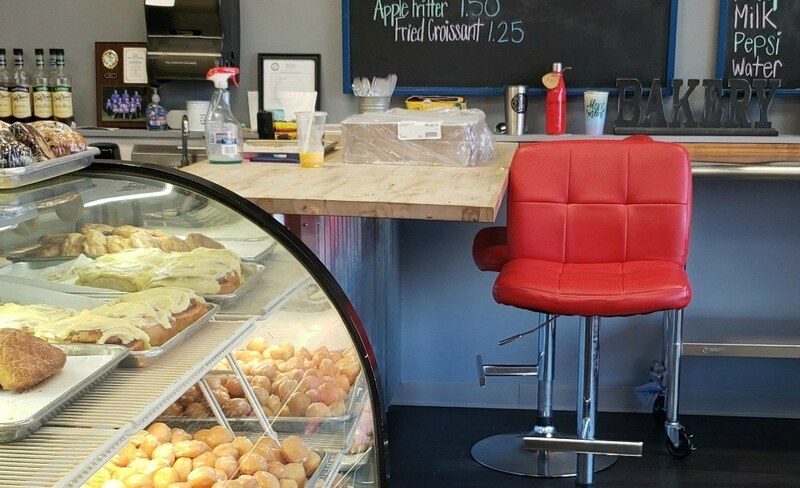 This scratch kitchen and bakery is conveniently located right downtown and has a comfortable, nostalgic feel as you walk inside. Tastefully decorated with antique pieces in the windows and throughout, this restaurant serves up great food with friendly, quick service. I enjoyed a Western Omelet with potatoes and everything was. While I didn’t try any, the pastry’s in the front display case looked especially appetizing and I’d love to stop back another time to try those too. 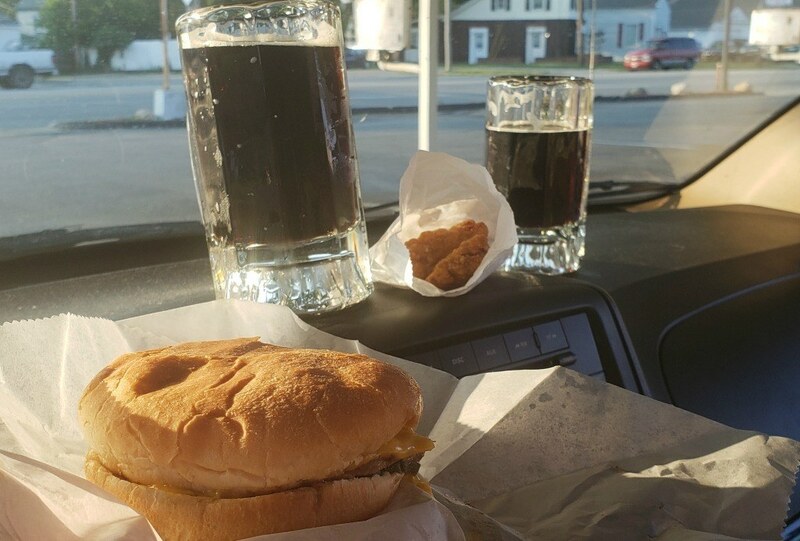 This old-fashioned drive-in has been open for more than 80 years. Simply pull up outside, order your meal and in minutes a car hop will deliver your food directly to your vehicle. The limited menu includes hot dogs, burgers, popcorn and French fries as well as their homemade root beer. This is a must in Butler County if for no other reason than the experience, but I have to say that the root beer is so delicious that I even bought a half gallon to take home. When I saw The Cone, I couldn’t help but be excited. The roadside attraction lover in me couldn’t wait to park and snap a photo of the ice cream shop housed inside a giant ice cream cone. How perfect could it be? After all, who doesn’t want to stop and grab an ice cream cone or in my case, cheesecake on a stick, from an ice cream shaped building? I admit I was a little bit worried by how busy it was when I arrived, but The Cone may be one of the most efficient ice cream shops I have ever been to. 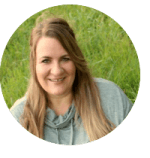 They are organized and work together like a well-oiled machine. Within minutes I was back in my vehicle with my treat in hand and on the road. For those who prefer a drive-thru experience, you’ll find one here as well. You’ll also find an indoor dining room and a game room or picnic tables under an awning with kiddie rides nearby. Can you believe The Cone is a Florida transplant? That’s right, the building was purchased in the Sunshine State and hauled to its current location. 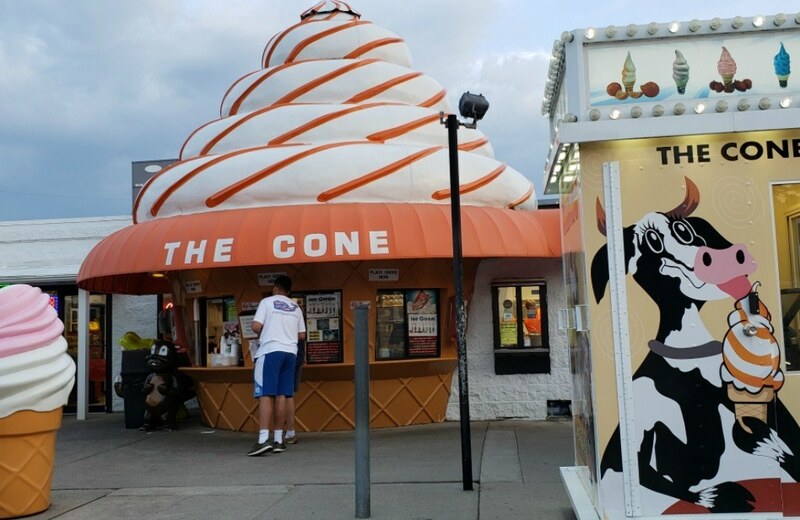 The Cone is closed for the season, but you must add it to your bucket list for 2019! I admit that when it comes to dining out, BBQ isn’t often my first choice, but I’m convinced that if I lived around Comb’s BBQ, it would be. Comb’s has some of the best BBQ I have ever eaten, and I don’t say that lightly, after all my family did spend some time in Alabama where BBQ is King. I knew Comb’s would be fun as soon as I stepped inside the door. The bright and eclectic interior with neon signs and music memorabilia made for a lively atmosphere. And the people were great- not only the employees but the other guests were all friendly. I didn’t once feel like an outsider but right away I felt like one of them. It may have helped that I’d ordered the brisket nachos which piqued everyone’s interest when it arrived at my table. It was amazing, and the portions were generous. It was easy to see why this establishment stays busy. If you can only dine in one place in Butler County, Comb’s BBQ gets my vote. Probably the most unique place to eat in the area is the Butler County Donut Trail as a whole. With 12 locally owned bakeries, this unique food trail is the first donut-centric trail in the country. I doubt it stays that way for long. After all, donuts are big business for Butler County who have welcomed over 9,000 people to visit the trail including folks from nine different countries and 44 states (including Alaska and Hawaii. The entire Donut Trail spans 80 miles and takes about 4 ½ hours to complete. It’s a great activity for families or groups, just make sure you get to bed at a manageable time the night before you set out. Selections will start to get narrower as the day goes on as most bakeries open early and close early. 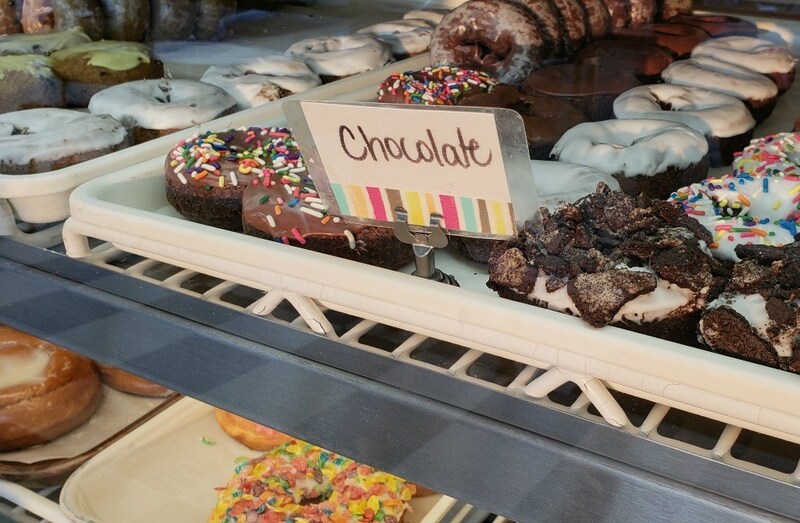 The mom and pop donut shops along the Butler County Donut Trail are no different. They close shop when they’ve sold out of donuts and I must admit when I was there, some of the shops were already running out by 8 a.m. My tip is to start visiting the bakeries soon open, which could be as early as 4 a.m. Yikes! 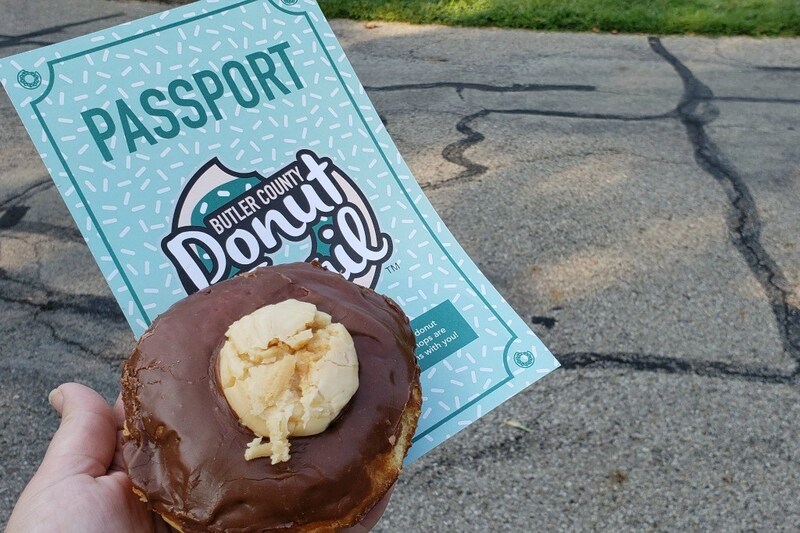 Don’t worry- your taste buds will reward you and after you fill out your entire Butler County Donut Trail Passport, you’ll get a free t-shirt too. Thanks to Butler County for hosting my stay. For more information on the restaurants I’ve mentioned or the Donut Trail, visit, visit www.GetToTheBC.com/donut-trail.